A signed production storyboard from Irvin Kershner's 1980 sci-fi classic, Star Wars: The Empire Strikes Back. 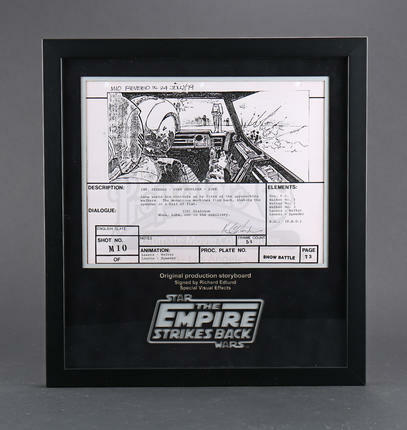 After the original storyboard was approved, copies were made and distributed to the various department heads during pre-production. 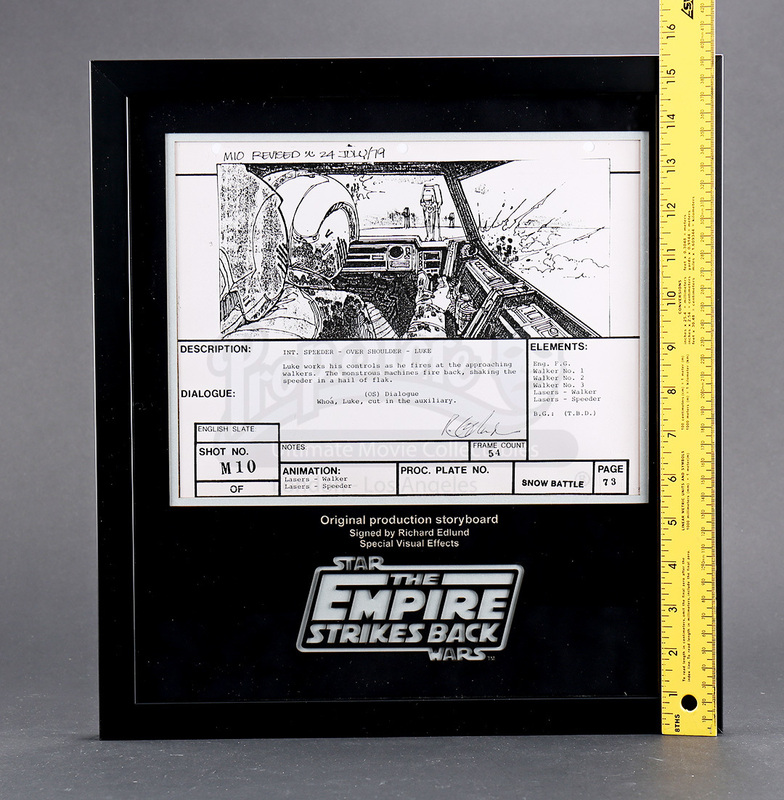 The production used copy has a printed description beneath the illustration, and is printed on US Legal-sized paper. It is hole-punched at the top, indicating that it would have been held together in sequence with the rest of the storyboard pages. 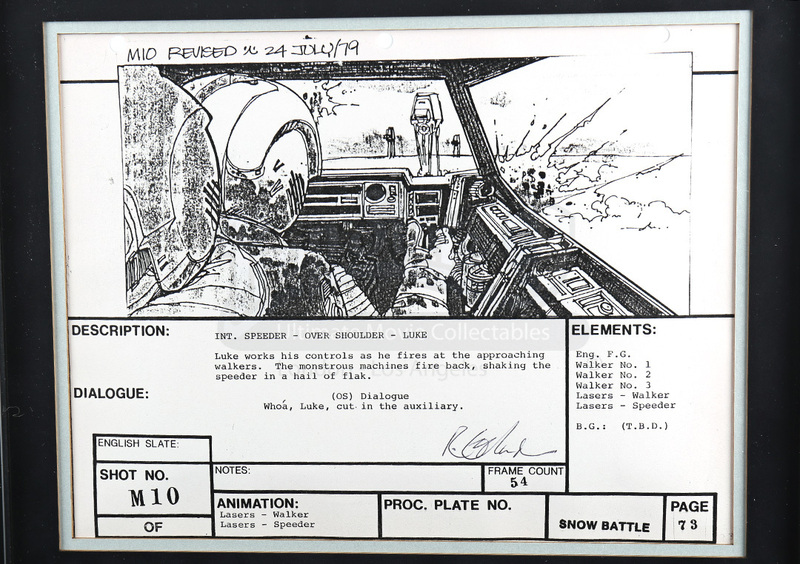 This storyboard is signed by special visual effects supervisor Richard Edlund.